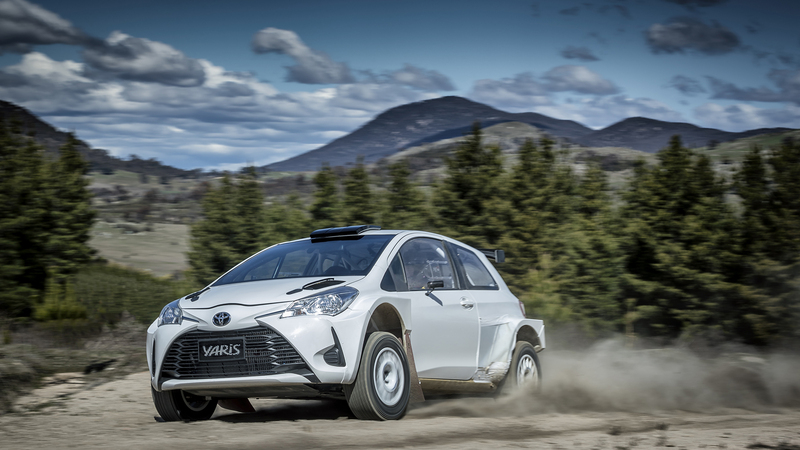 After modifying the Yaris for its return to WRC competition, Toyota is bringing it down-under to run in the Australian Rally Championship. While the WRC Yaris is a bit beefier with more aero bits and a huge wing on the back, the AP4 rally regulations for Australia and New Zealand keep the car looking a bit more like the Yaris that you might buy at a dealership. But don't let its unassuming looks fool you. This is not an ordinary Yaris. The Toyota Yaris AP4 is an angry all-wheel drive, 300 horsepower, dirt-slinging little monster. The engine is de-stroked from a 1.8-liter to a 1.6-liter four-cylinder from the Celica and Corolla Sportivo (a hot hatch version of the Corolla that was available in Australia) with a Garrett 2860 turbocharger added. It's the same engine as its WRC brother, but with slightly different regulations. The AP4 comes in at about 80 hp less than the WRC version. In the pictures below, you can see the differences between the AP4 and WRC Yaris. The AP4 is most certainly not stock, but is a lot closer, as far as looks are concerned, than the WRC Yaris. Even with a little less power and fewer aero components, this Yaris looks incredibly fun to drive. Who cares about 80 fewer ponies when you have less downforce and get to flog the car around on dirt and gravel rally courses? Neal Bates Motorsport, which had been running a Corolla S2000 for a decade, will debut the car this weekend at the Rally SA. 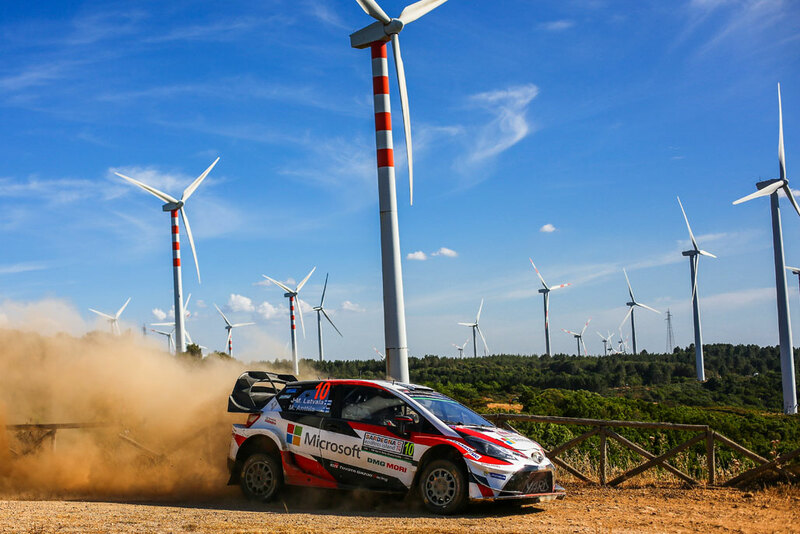 With only two rallies left in the season, they are making the switch to the new car now, despite leading the championship. It's a risky move, but one that will probably pay off. The little Yaris will be a nice upgrade to finish out the year with. The team recently took the new car out for a shakedown run with Toyota along to film the action. Enjoy. How could you not welcome a Fiesta ST competitor? Toyota's entry-level gets spruced up.